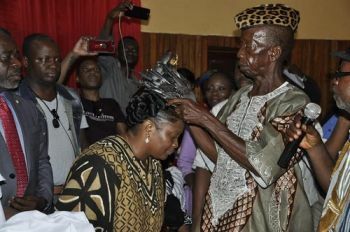 Monrovia, Liberia - The people of Bong County have bestowed another but highest distinguished traditional title upon their Daughter, Chief Dr. Jewel Howard-Taylor, Liberia’s Vice President. Some of the contributions according the Chief Dakpanah of Liberia include the provision of scholarships to youths of Bong County, the construction of schools, Health facilities, bridges and support to the advancement of traditional activities in the country as a whole. 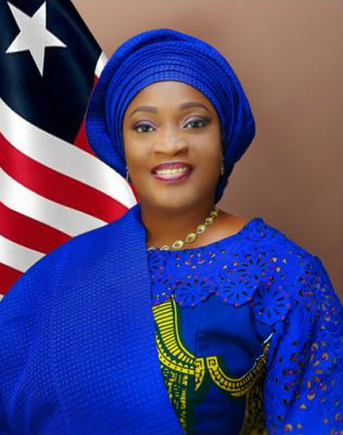 Responding to the honor, Vice President Chief Dr Jewel Howard-Taylor extolled his Excellency President George M. Weah for his courageous and farsighted decision to select a daughter from Bong County as his Running Mate whose now the Vice President in the current CDC-led government. That Chieftaincy Title to the first female was conferred on Madam Howard-Taylor by Traditional Chiefs and Elders of Bong County for her role in sponsoring the a bill which created the National Traditional Council of Liberia as well as in full recognition of her exemplary services to the people of Bong and Liberia at large.